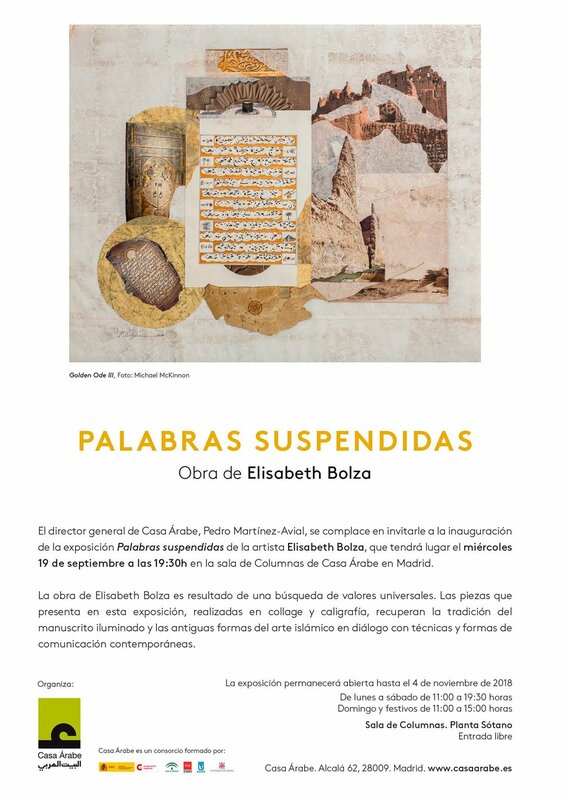 Elisabeth Bolza is participating in a discussion panel organised by Fundación Orellana, to be held in Madrid on October 9th at Fundacion Solo art foundation. The theme is 'Saudi Arabia from the work experience'. Rawafid is a flagship cultural documentary program and winner of the Golden Prize award for the best cultural and educational program at the Gulf Media Festival. 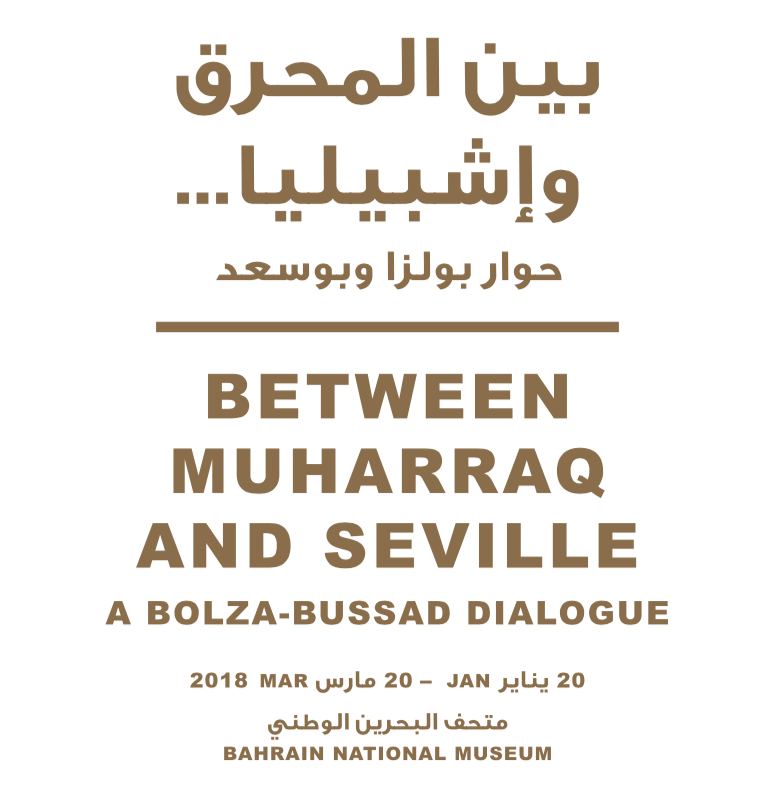 "Between Seville and Muharraq...A Bolza Busaad Dialogue"
In this major exhibition Elisabeth is showing 24 new large size mixed media work in visual dialogue with calligraphic works by the leading Bahraini artist Ebrahim Busaad www.busaad.com. The exhibition is organised by the Bahrain Authority for Culture and Antiquities and will be inaugurated by the Minister of Culture, Sheikha Mai Al-Khalifa. 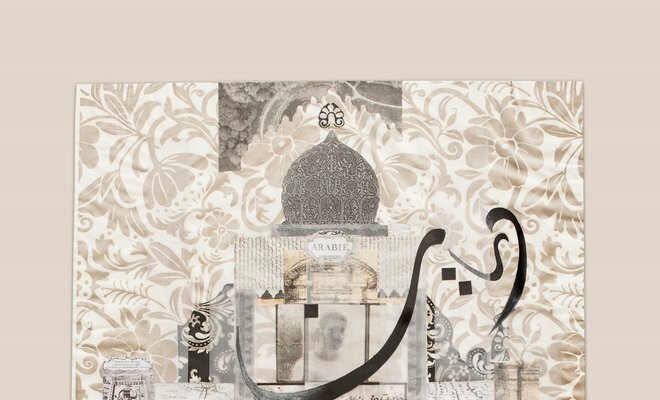 LONDON: Middle Eastern influences were the binding element in the work of four artists displayed at the Janet Rady Fine Art exhibition held at the Arab British Chamber of Commerce in London last week. Elisabeth Bolza has been nominated for the Jameel Prize 5. Inside St James’s Church in London, amid the pews and Corinthian columns, is a major East-West art exhibition that offers a “contemporary message of hope for a harmonious, peaceful and tolerant world". And as curator Paul-Gordon Chandler points out, “it’s a critical message for London at this moment in time – this exhibition celebrates pluralism and diversity." Elisabeth Bolza has been selected as one of eight Western artists for participation in The Key. Forty artists will exhibit painted three-dimensional sculptures of the Ankh, one of the world's most ancient symbols of harmony and pluralism. The Key is a major East-West peace-building art exhibition that uses the globally recognized ancient Egyptian symbol of the Ankh as the canvas for a contemporary message of hope for a peaceful and tolerant world. The Key opens in Cairo, Egypt in March 2016, and will then be showcased in St James’s, Piccadilly, London, United Kingdom and New York City, USA. Proceeds from sales go to supporting an Egyptian charity providing creative learning opportunities for children among the poorest of the poor. The Founding Sponsor of The Key is SODIC, a major real estate company in Egypt. As the momentum builds for the inaugural ArtBahrain - the international art fair in Manama, Bahrain – has announced ArtBahrain Talks, its in-depth education forum and a VIP programme. Zeinab Badawi and Kush Communications are developing a new and groundbreaking series in partnership with SOAS, London University called: The New Muslim Debates. Elisabeth Bolza's work A Window to Makkah has been chosen as the logo to represent the series and as a background image for the televised debates. Sandra Malfait interviewed Elisabeth Bolza at her studio on the importance of Arabic calligraphy and poetry in Al-Andalus culture, and filmed her conversation on etymology with Professor Rafael Valencia at Seville University. H.R.H Prince Charles visited the historic town of Diriyah in Saudi Arabia and was presented with Elisabeth Bolza's work Pilgrimage I by H.R.H Prince Sultan bin Salman.